The objective of this road map is to create the conditions for peace, development and security in Darfur, through commitment by the GOS (Government of Sudan) to the following action plan. This will provide early indications to the international community that they have made positive progress in compliance with UN Security Council Resolution (UNSCR)1556, by the original deadline set of 30 August 2004. Whilst it is acknowledged that the GOS may not be able to fulfil all the requirements of UNSCR 1556 by this deadline, there are several actions that they can take now to demonstrate commitment to comply, and of the commitment made in the UN/GOS Joint Communique of 3 July 2004. The following actions have been drawn up in the light of discussions and suggestions made at the meeting of the Joint Implementation Mechanism (JIM) of 2 August 2004, co-chaired by the Sudanese Minister for Foreign Affairs and the UN Special Representative for the Secretary-General. 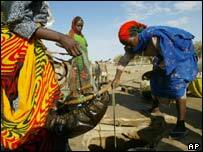 The GOS would identify parts of Darfur that can be made secure and safe within 30 days. All offensive military operations by GOS armed forces in the proposed safe areas would cease immediately. This includes any offensive actions against rebel groups. The GOS armed forces will also exercise restraint and avoid retaliation against rebel activities notwithstanding their right of self-defence. They will then be redeployed in such a way that they are not in direct contact with the camps and civilians. This will demonstrate political will and help build confidence amongst the local population. In accordance with the ceasefire agreement, the GOS will request the rebel groups participating in the Darfur peace talks immediately to cease offensive military operations in the proposed safe areas. The GOS will also request the African Union (AU) and other international partners to pressurize the rebel groups to fully maintain the current ceasefire. The rebels would then lay down their weapons. These could be collected later as part of an agreed Disarmament and Demobilization (DDR) programme . The GOS would identify and declare those militias over which it has influence, and instruct them to cease their activities forthwith. They would then lay down their weapons. These, as well as weapons from the rebels, could be collected later as part of an agreed DDR programme. The GOS would invite the AU Ceasefire Commission to monitor and report on the observance of the above commitments. The GOS would make an unequivocal declaration of commitment to start the Darfur peace talks as soon as possible, in any venue to be proposed by the AU. They will renew their commitment to bringing these talks to a successful and speedy conclusion, in order to ensure security and to take away the root causes of the conflict. The AU and UN Security Council will pressurize the rebels to do likewise. The GOS would request support from the AU and the Arab League to assist in resolving the crisis by providing financial and logistic resources as well as monitors. The GOS would request, through the UN provision of financial and logistic resources as necessary to meet the tasks outlined above within the timeline agreed in UNSCR 1556. 9. The GOS would sign an agreement with International Organization for Migration (IOM) to assist with and oversee the voluntary return of IDPs (Internally Displaced People). The GOS reconfirms its policy of no involuntary returns. 10. The GOS will engage local leaders. It will hold a conference to seek their help in building confidence and taking more responsibilities in security, administration and resolving disputes. 11. 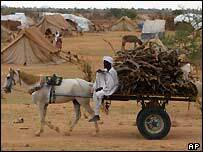 Maintaining and further improving the humanitarian situation of the population in Darfur with the help of the international community. To this end, the GOS commits itself to extending the fast track regarding access until July 2005. 12. The GOS will start talks with community leaders and others with the aim of establishing a commission for rehabilitation, recovery, development and reconciliation in Darfur.